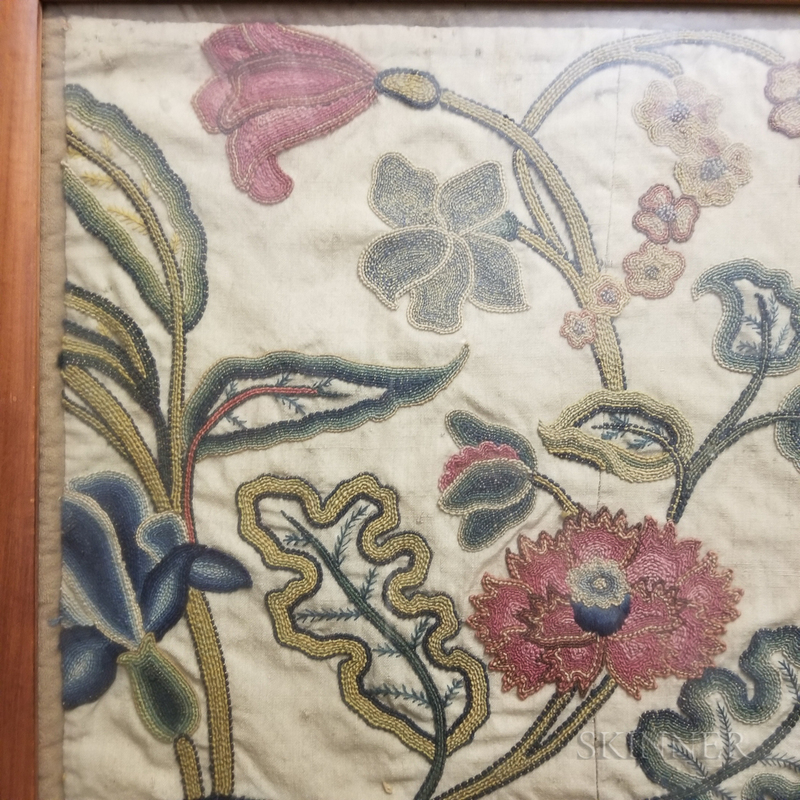 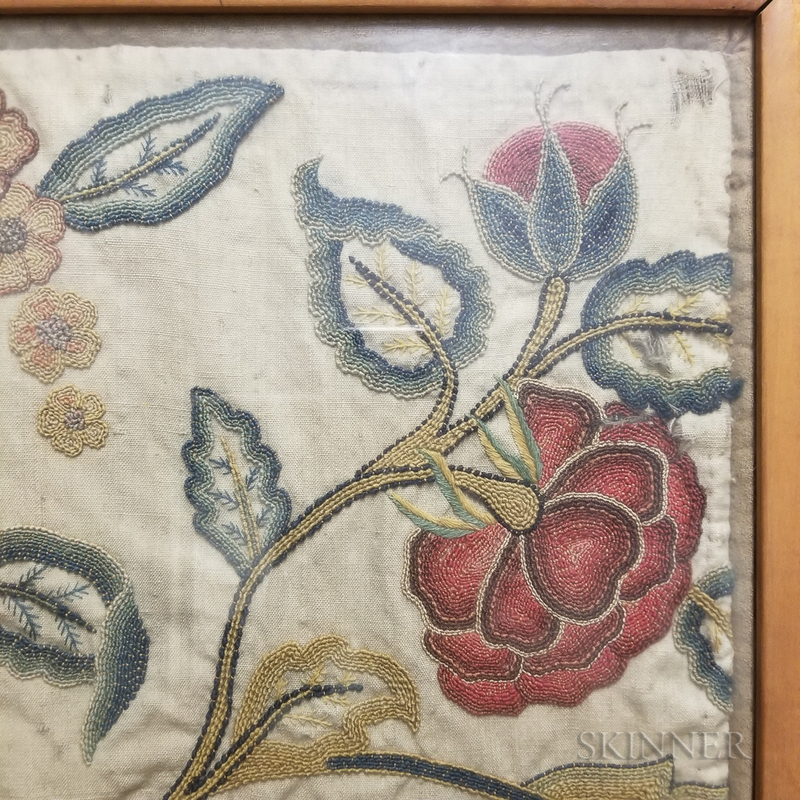 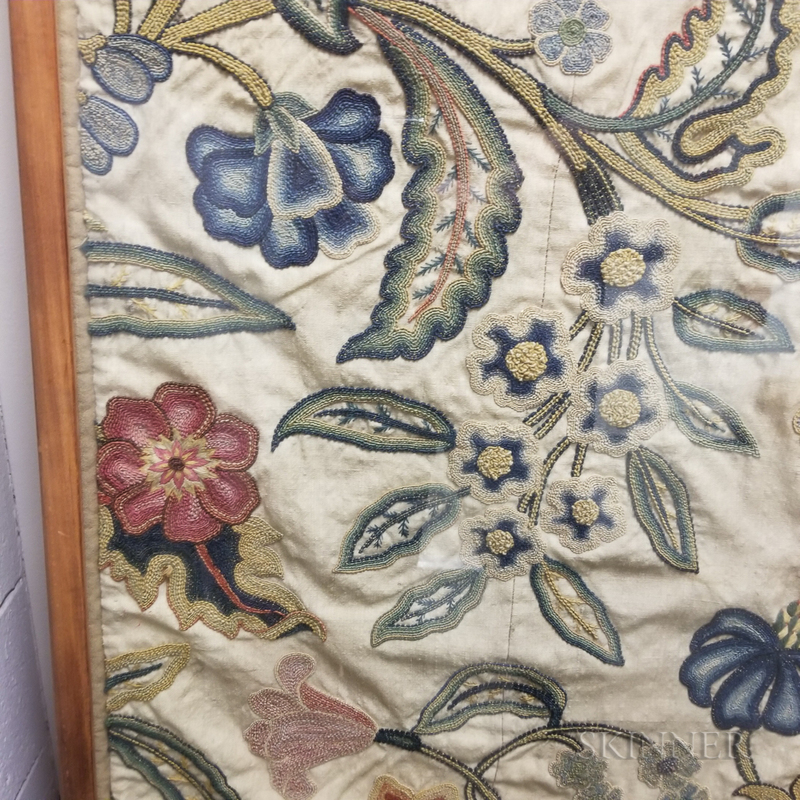 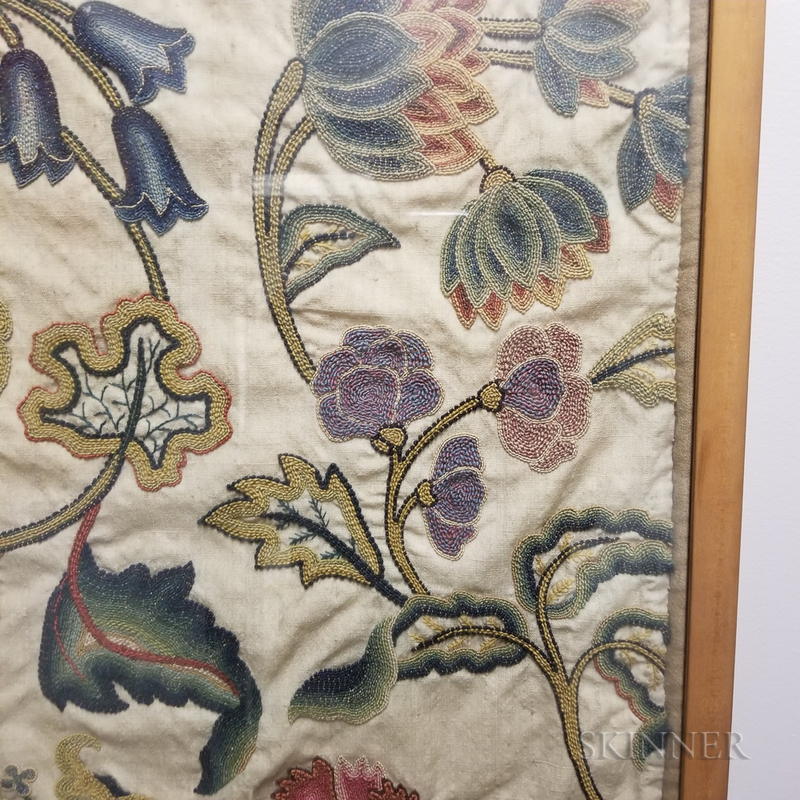 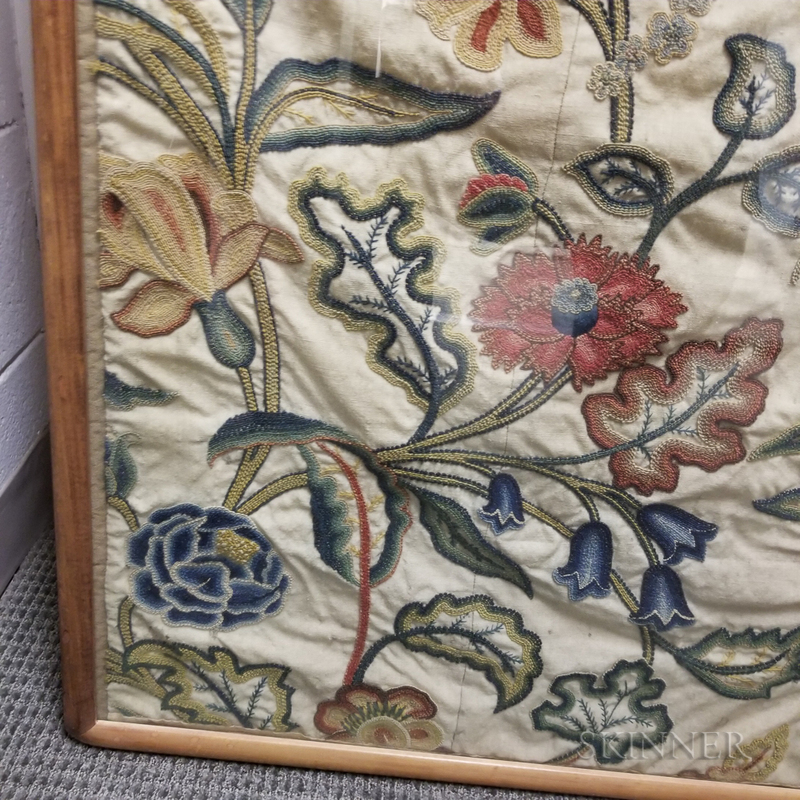 Framed Foliate-decorated Crewelwork Tapestry, 18th century, ht. 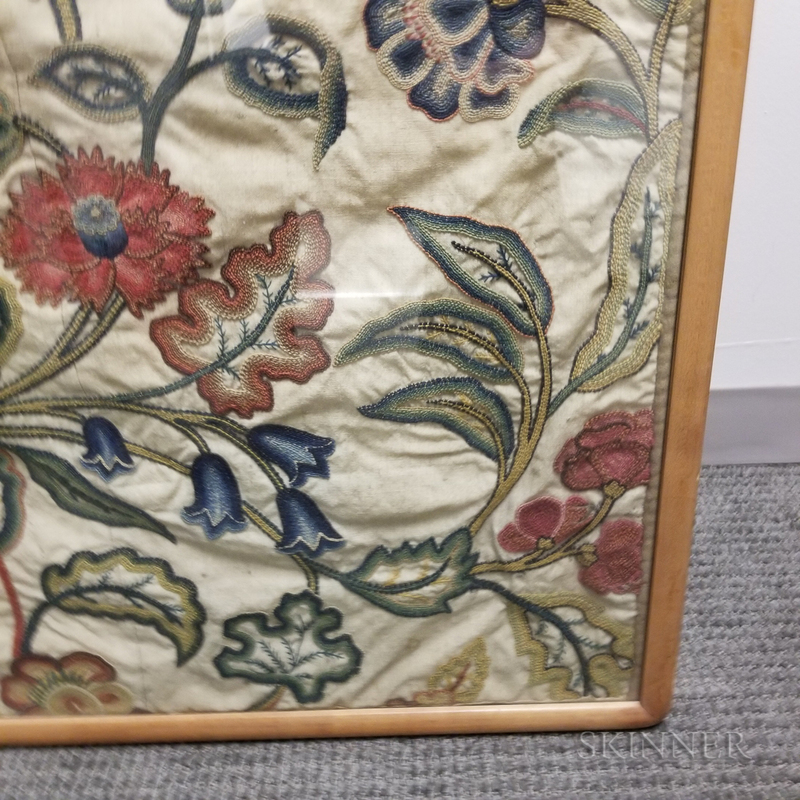 80 1/2, wd. 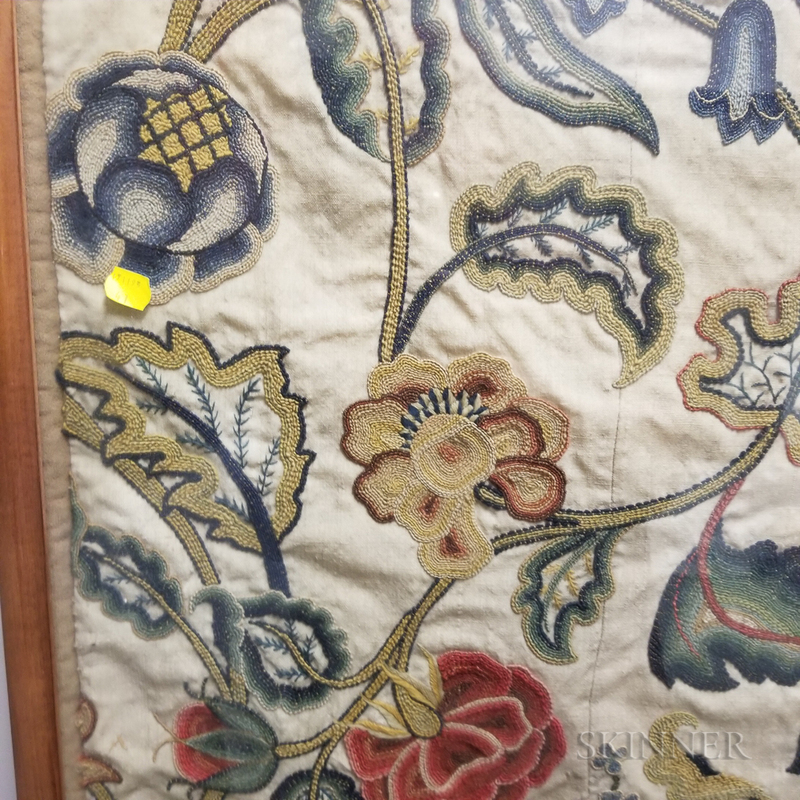 27 3/4 in.